SOLD in 27 Days for 98% of LIST PRICE! Live the lifestyle...stylishly-renovated 656sf 1BR condo, nestled in a quiet pocket of Mt Pleasant, just a few blocks from all the action of Main Street. 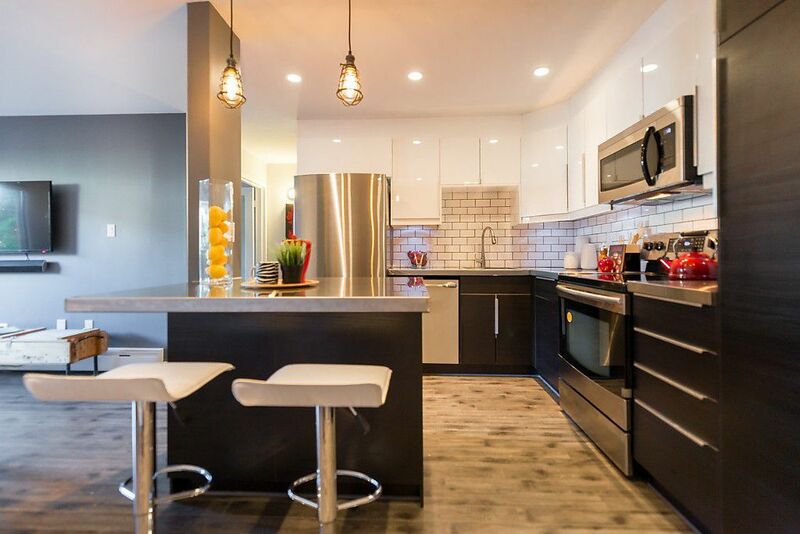 Huge brand-new open-concept kitchen w/large island, attached office nook, stainless appliances, subway tile backsplash & slick custom restaurant-grade stainless steel counters. Beveled washed-oak laminate flrs throughout. Fully-renovated bath w/in-floor radiant heat. Cool designer paint tones & stylish vintage lighting completes the look. Proactive strata - Roof 2010, Boilers 2011 & more. Lrg 150sqft private patio. Shared laundry just 6 steps away. 1 Parking + storage locker! No rentals, but 1 pet is OK! More pics, floorplans on realtor's site. OPEN SAT/SUN Mar 7 & 8, 2-4pm.